The decision of including Ireland and Afghanistan at the Test arena has come as a breath of fresh air for the entire cricketing community. Joining the big boy’s league is a reward for both these countries for their competitiveness on the field at the international level for past one decade. It is the first time in last 17 years, the exclusive club of Test playing nations has been expanded. 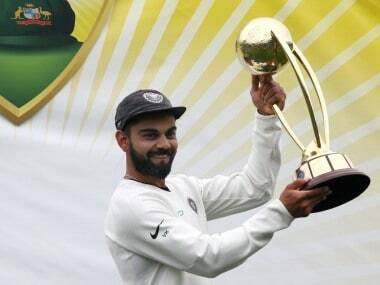 Before this week’s announcement, Bangladesh were considered as the youngest Test nation, who were awarded this elite status back in 2000, when the late BCCI and CAB president Jagmohan Dalmiya was at the helm of the International Cricket Council (ICC). Many considered the decision as premature one as at that time. In terms of infrastructure, Bangladesh were hardly in a position to justify the tag of a ‘Test playing nation.’ The First-Class cricket was introduced in the country only in 1999 and as expected, it was below standard. During those days, for the Associate members, there was no preparatory tournament like Intercontinental Cup (Multi-day competition) to brush up their skills in red-ball cricket. This lack of homework reflected in Bangladesh’s miserable on-field performances. 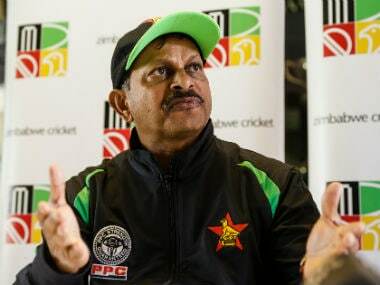 It took them four and half years and 34 unsuccessful attempts to register their first-ever Test victory in January 2005 against Zimbabwe at home. Clearly, Bangladesh were not ready. However, on this occasion, it has been a unanimous verdict by all the full members of ICC to provide Ireland and Afghanistan the approval to feature in the purest form of cricket. Unlike Bangladesh, they have earned their rights and in many ways, they are better prepared to be competitive in white clothing in whatever opportunities they will get in near future. Both Ireland and Afghanistan have had proper domestic multi-day red ball competitions since 2013 and 2014 respectively. Moreover, many Irish players feature in English county cricket. Both Cricket Ireland and Afghanistan Cricket Board have already introduced the system of having centrally contracted cricketers. With this proper structure in place and the significant increase in funding from the ICC (Annually $40 million for each board), a country like Ireland can now offer well-paid deals to their talented cricketers to stop them from leaving the country to play for a high-profile team like England. One thing is crystal clear from their recent on-field performances, both the Irish and Afghan teams have some seriously talented cricketers on their ranks, who are well capable of grabbing the eyeballs in all three formats. Someone like Rashid Khan, the Afghanistan leggi, who is one of the best in the world right now or young Irish left-arm spinner George Dockrell or attacking top order batsmen Paul Stirling, who was an important member of last season’s County Championship winning Middlesex team are a few examples of the kind of cricketing talents these two nations possess. Thus, Test cricket might be an alien territory for Ireland and Afghanistan, but they have had enough dress-rehearsals to produce notable success in near future. Meanwhile, despite having such exciting prospects, these two newcomers are unlikely to get the kind of support what Bangladesh had received from the other full members in its early days. The Tigers played as many as nine Test matches till the end of 2001 and they faced opponents like India, Pakistan, Sri Lanka, New Zealand and a strong Zimbabwe side during that time-frame. However, in this era of ‘hit out or get out’ type of cricket, both Ireland and Afghanistan are unlikely to get significant opportunities to play five-day matches against stronger opponents. According to some reports, for the first couple of years, they will be playing only four Test matches annually and as expected, most of these matches will be against lower ranked teams. A Test championship is currently under the frame of scheme of ICC, but most likely, both these newcomers will be kept out of that event. Thus, the danger is that the two new sides have become Test nations only for namesake. Until and unless they get co-operation from the other members, both Ireland and Afghanistan won't be able to do justice to their elite status. 1Are Ireland, Afghanistan better prepared for Test cricket than Bangladesh of 2000?